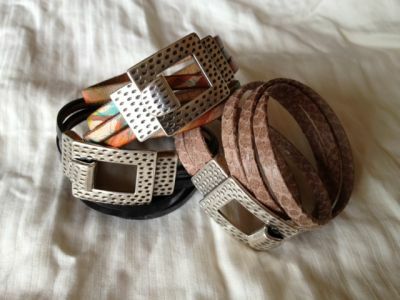 Leather Bracelet with Pewter Buckle Discounts Apply ! Double wrapped 5mm leather and pewter buckle clasp available in a variety of colors $35. Single wrap for only $25.